Mold was reportedly discovered in Green Farms School during water repairs. My Cleaning Products shared a method to prevent a similar hidden mold problem. ...Molderizer and Safe Shield are the best...they make the right choices because they are both effective and safe. A mold problem was discovered in Greens Farms Elementary in Connecticut. But according to a report from westport-news.com published on January 09, 2013, it was only found out when water repairs in the school were implemented. In connection with it, My Cleaning Products shared a mold removal tip how the public could prevent it from becoming a hidden problem that causes a lot of huge spending. The report said that the bursting of a fire sprinkler in January 06 was the cause of the water repairs that needed in the school, My Cleaning Products related. It brought quite a damage and particularly left the district with $25,000 to take care of for the mold remediation process, it detailed. Based on the report, the fungus was specifically found in the catwalk of the section affected by the burst. And as of January 13, MCP shared that the mold cleanup was ongoing while the area was contained and access to it was limited to protect the students. All work was expected to be finished next week. Here's an excerpt from the post Mold Discovered in Greens Farms Elementary School by My Cleaning Products. “On January 6, a water damage occurred in Greens Farms Elementary School in Connecticut. A fire sprinkler pipe burst and caused quite a damaged. But the problem did not end there. The late discovery of mold at Greens Farms Elementary School is a proof that although it isn't visible, the fungus could have already started an infestation, said My Cleaning Products. That, it stated, could then bring in a lot of structural and financial problems. Because of that, MCP stressed that it is imperative to detect and kill mold as early as possible. To do that, it stated that one must open his eyes to mold signs. 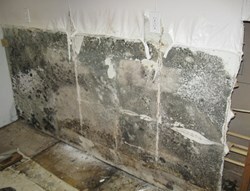 Additionally, it said that a person must prepare mold remediation solutions to get the treatment done promptly. Of all the mold removal products though, the company asserted that its Molderizer and Safe Shield are the best. It explained that they make the right choices because they are both effective and safe. It detailed that Molderizer was already proven to effectively kill the spores from the roots to the tips. Meanwhile, it shared that Safe Shield was confirmed to block more of them. And all those things, it cited, the products could do without the help of harsh chemical ingredients. To personally experience those advantages, MCP urged the public to get the Molderizer and Safe Shield Complimentary Samples. They are available at mycleaningproducts.com, it shared.